References for Plant Flower: Wikipedia; Biodiversity; Flower diversity. A flower is a reproductive structure found in angiosperms, which are known to be flowering plants. It is sometimes referred to as a blossom or bloom, and its biological function is with regards to reproduction of plants, by means of serving as an instrument for the union of sperm with eggs. Some flowers can also facilitate the fusion of sperm and eggs from dissimilar individuals in a population, known as outcrossing. Some types also allow selfing wherein the union of sperm and eggs comes from the same flower. There are also further varieties that without parthenocarpy or fertilization can still produce diaspores. Flowers have sporangia as well as the site wherein gametophytes can develop. Most flowers evolved to attract animals such as bees, hummingbirds, butterflies and moths in order for them to serve as vectors for the purpose of pollen transfer and pollination. This special part of a plant gives rise to fruit and seeds for the continuous cycle of plant life. Aside from facilitating the reproduction of angiosperms, flowers are also used and admired by humans in order to beautify their environment. Flowers serve as objects of medicine, religion, romance, rituals and even a source of food. Most flowers have petals, which are the colorful and bright part of the flower that is responsible in attracting pollinators and serves as decorations for beautification purposes; and sepals that looks like tiny green leaves that are covering the outside bud of the flower. 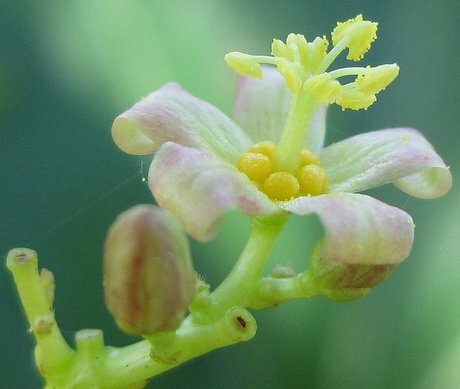 Sepals are providing protection to the flower before it opens. Although flowers have both petals and sepals, there are basically two kinds of flowers: the male and female flowers, wherein they differ with the reproductive parts. The male parts include the stamen, anther, and filament; whereas the female parts are pistil, stigma, style, ovary, and ovule. The stamen is made up of the anther and filament, and is known as the plant’s pollen producing part. The number of stamen is often the same as the number of petals. The anther is the stamen part that contains and produces pollen. It is normally located on the top part of the long stalk. The filament is the stalk that looks like a fine hair wherein the anther sits on top of. Male Flower Photograph by Tonrulkens. 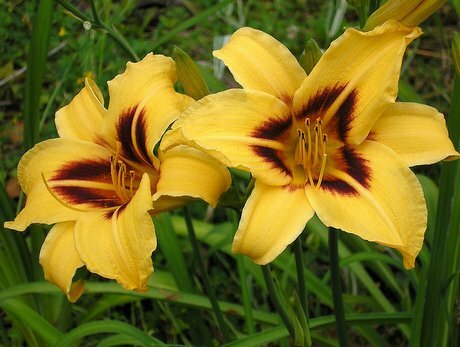 The pistil is made of the stigma, ovary and style. Every pistil is composed of many leaf-like rolled structures. 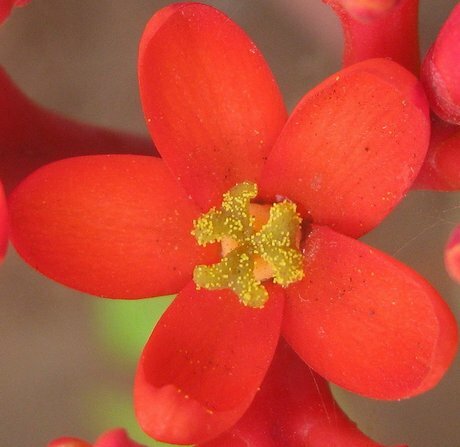 The stigma is the sticky bulb that can be seen in the center of the flower as it is the part that receives the pollen grains for which they will germinate. The style is the long sticky stalk that holds the stigma. The ovary is the part that is normally located at the bottom of the flower, has seeds inside and are the ripen fruits. Ovary contains ovules and ovules becomes the seeds when the ovary becomes the ripen fruit. There are basically two types of flowers: the perfect flower and the imperfect flower. Perfect flowers such as lilium, roses and dandelions, have both the male and female parts; while imperfect flowers do not have the male or female in the same flower: melons, pumpkin and cucumbers are some examples of imperfect flower. Perfect Lily flower by photogirl7.1.